There are hardly any other longer-lasting, more robust and cost-effective testing devices than the two-piece high-voltage test devices from the PGK HB series. They generate continuous adjustable test voltages with mains frequency or optionally DC with positive or negative polarity. 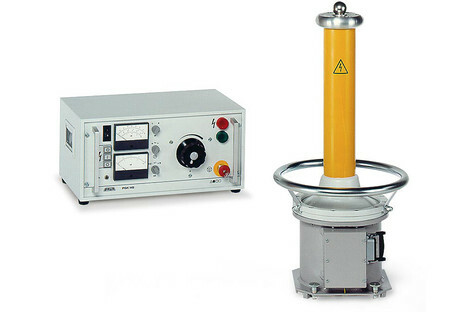 The display instruments for current and voltage, the safety control unit and the regulating transformer for the voltage are integrated in the operating unit.